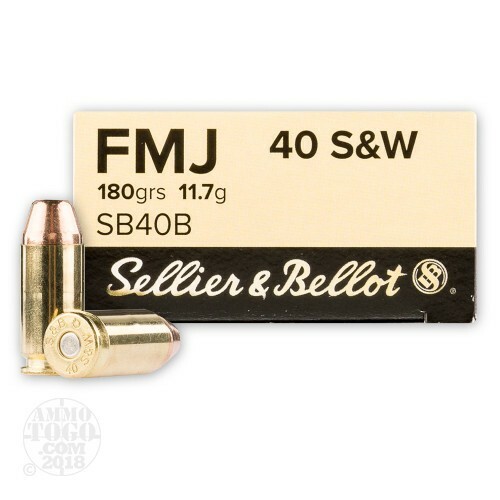 This Sellier & Bellot .40 Smith & Wesson ammunition is perfect for long-term storage. 100 percent non-corrosive, rach primer is sealed with red lacquer for extra moisture protection. This ammo is also packed in oil resistant boxes designed for an extended shelf life. Each factory fresh cartridge features a 180 grain full metal jacket (FMJ) projectile. 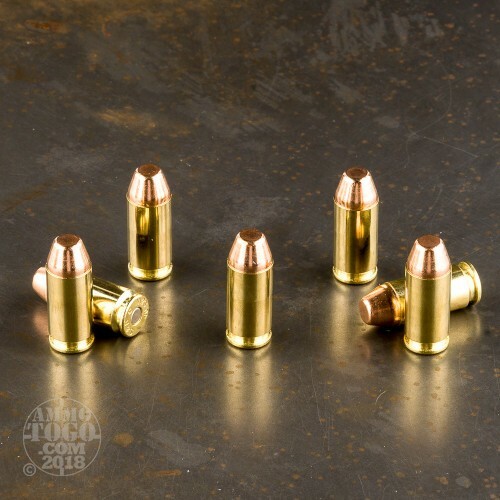 Perfect for target shooting, tactical practice, or casual backyard plinking, these FMJ bullets are designed with a full copper jacket that limits expansion and helps prevent lead fouling. This ammunition is boxer primed and brass cased. It is 100 percent reloadable, and generates a muzzle velocity of 968 feet per second with 375 foot pounds of muzzle energy. This ammunition comes packed in 50-round boxes. 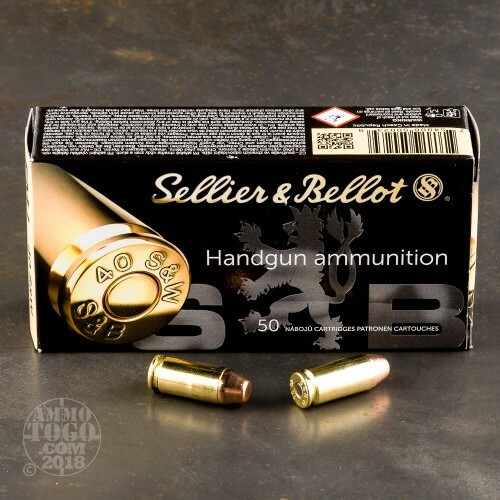 Located in the Czech Republic, Sellier & Bellot uses cutting edge machinery and technology to produce some of the highest quality ammunition on the market today. 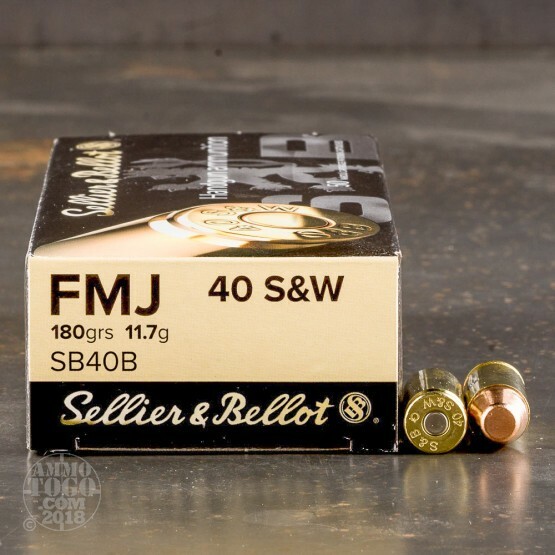 All Sellier & Bellot ammunition is held to exacting tolerances in diameter and weight, which produces consistent accuracy and reliable function shot after shot. I like this ammo for my Glock 27. Its not loaded quite as hot as many american made .40 fmjs and makes plinking/target shooting a little more pleasant. Functions my gun just fine and is clean and accurate. 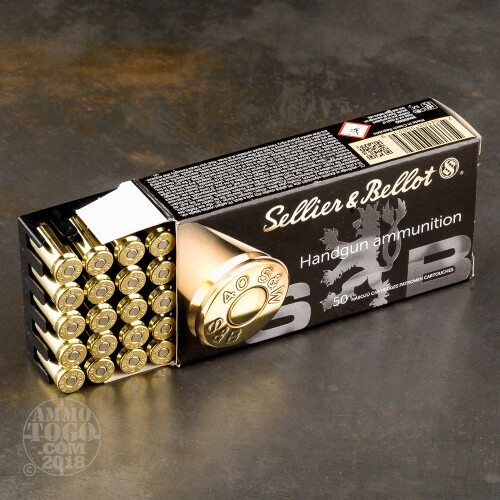 I like Sellier & Bellot ammo in all the pistol calibers i've used, their 9mm and .45 acp is also very good. Just wish they would get rid of a little bit of that thick red primer sealant they use. Great ammo. Compared to some Wally world ammo (Blazer) this ammo is pretty clean. Fired 150 rounds jam, FTF and FTE free rounds. No problem with red primer residue. Will buy this ammo in more calibers. Very accurate. Shot 100rds out of my PX4 with no failures, and great accuracy. Like all good ammo unfortunately, it's price keeps rising. I found it a cleaner burning round too. Shot 100rds out of my PX4 with no failures, and great accuracy. Like all good ammo unfortunately, its price keeps rising. I found it a cleaner burning round too.